Celebrate success and share it with the public via this Company Press Release for Winning an Award template. 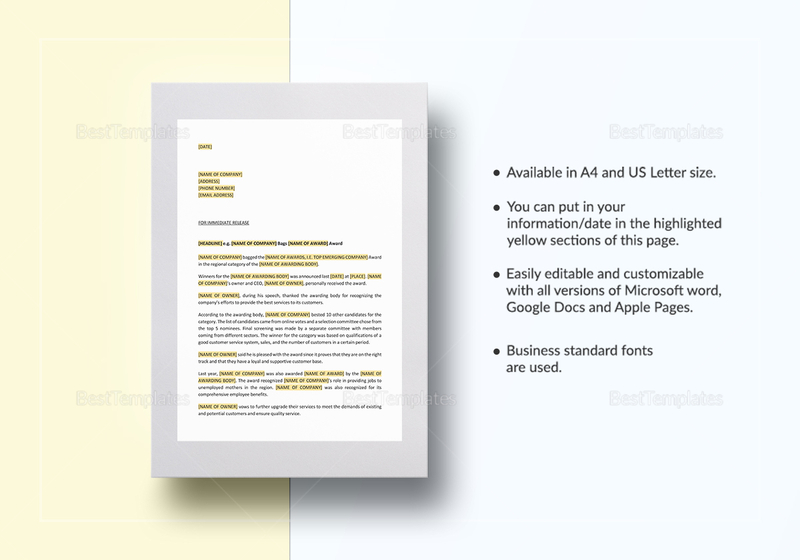 Simply download the template on Microsoft Word or Mac Pages formats, or open with Google Docs for easy access. 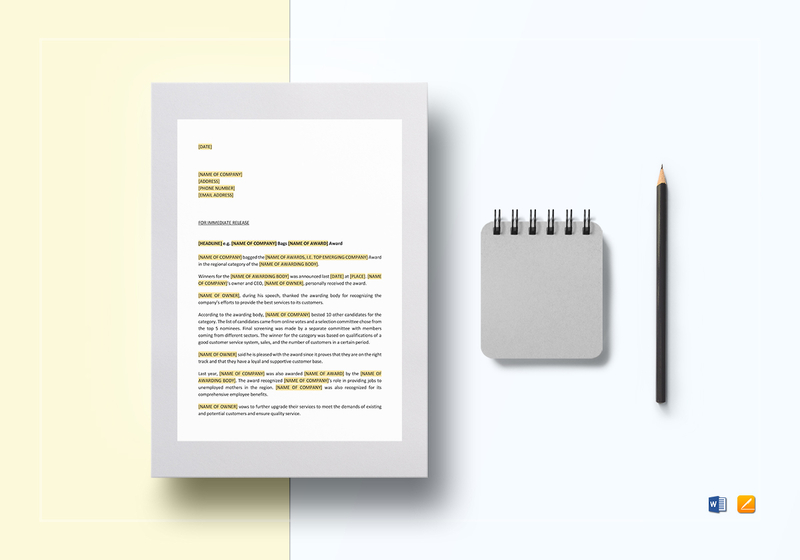 Customize by editing the information on the highlighted areas, then print or share digitally to media outlets as desired.